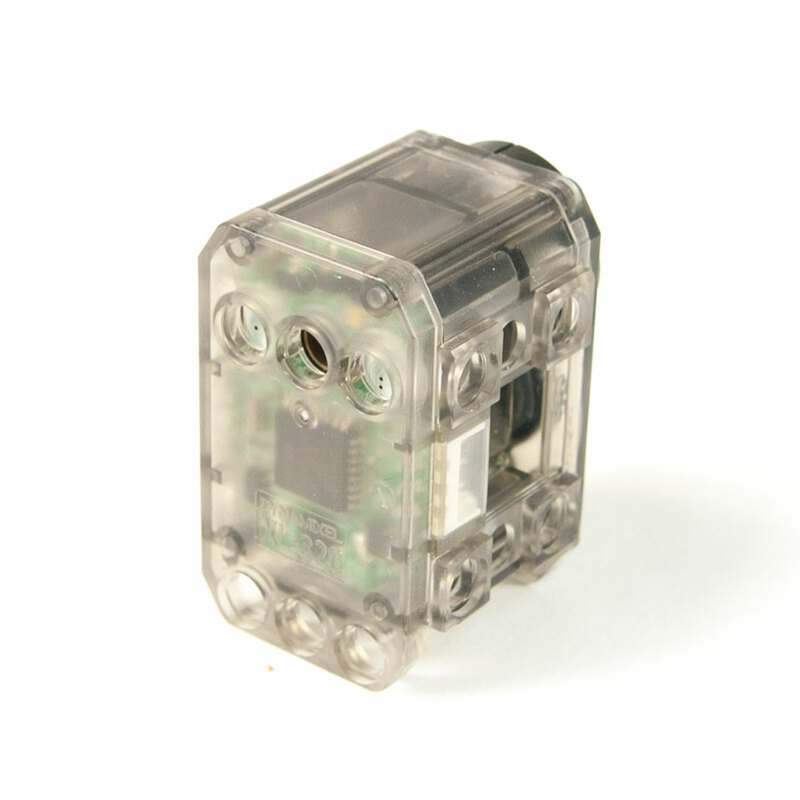 The XL-320 servo from ROBOTIS is so small you might mistake it for an ordinary hobby servo, but you would be missing out! 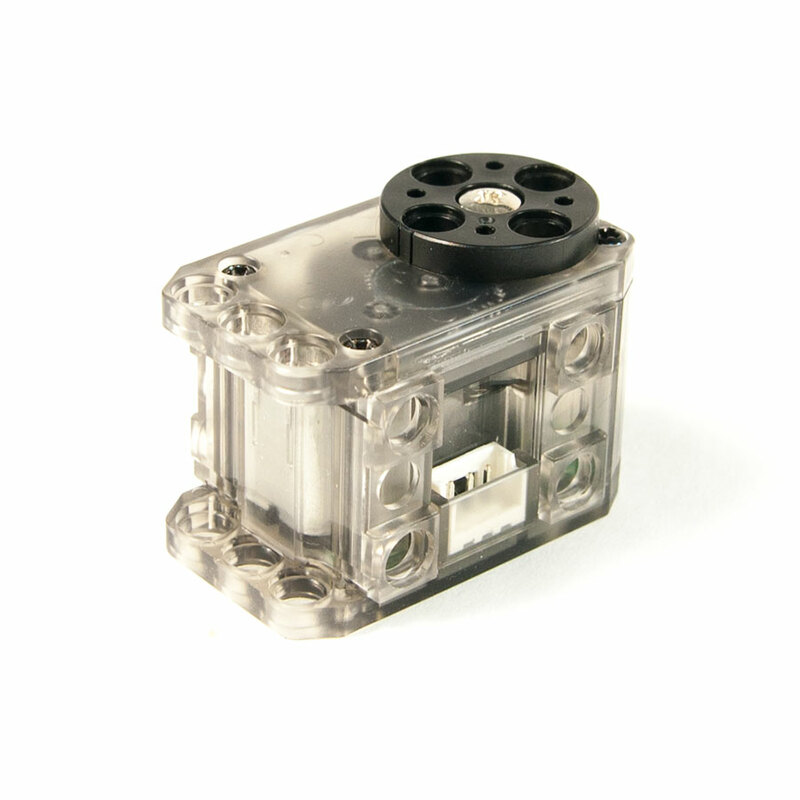 Despite its diminutive size, it is actually one of the newest models in the DYNAMIXEL robot servo line from ROBOTIS. Each XL-320 can produce up to 0.39 N-m (55 in-oz) of torque and rotate at 114 RPM in precisely controlled 0.29° increments. For its size (24 x 36 x 27 mm) and weight (16.7 g) there is no other servo that can compete with the XL-320 in performance and durability. 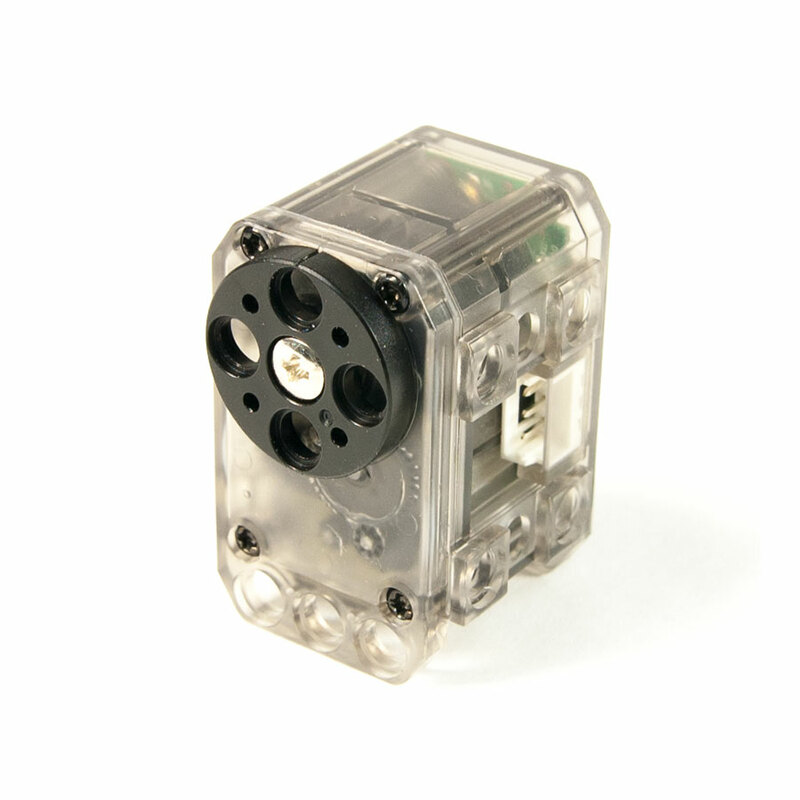 The XL-320 has all the most important features of larger DYNAMIXEL servos in a much smaller package. 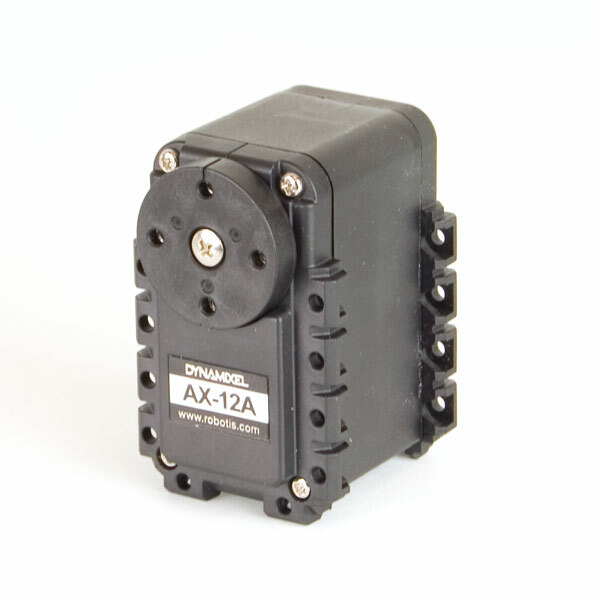 Like other DYNAMIXEL Robot Actuators, XL-320 servos are network driven using the TTL communication protocol, which means they can each be addressed with a unique ID. By default, each servo come set to ID #1 and at 1 Mbps baud rate. Be sure to change those to suit your needs if you connect more than one XL-320 together. 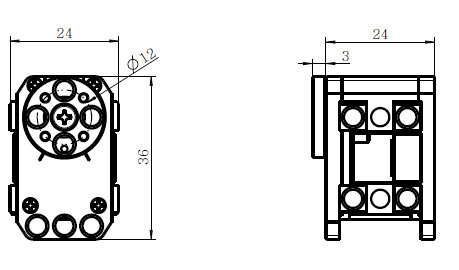 The ID can be set dynamically, making it easy for users to configure their actuators for their specific robot. 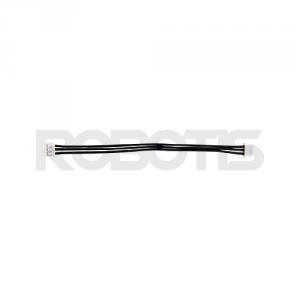 The 100 mm cable included with each servo can be used to daisy chain the servos for easy construction of complex humanoid robots like the DARWIN Mini which uses 16 XL-320 servos to achieve amazing life-like movements and gestures. 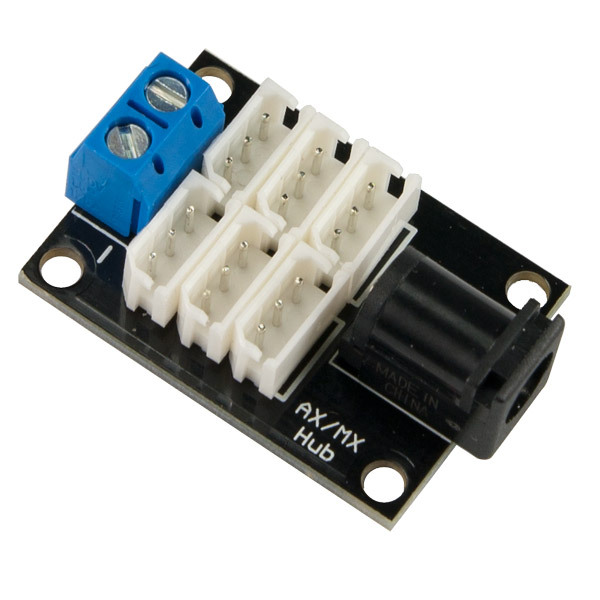 Unlike the other DYNAMIXEL robot servos, the XL-320 uses a different 3P connector. Because of this, the only currently supported controller is the OpenCM9.04-C. 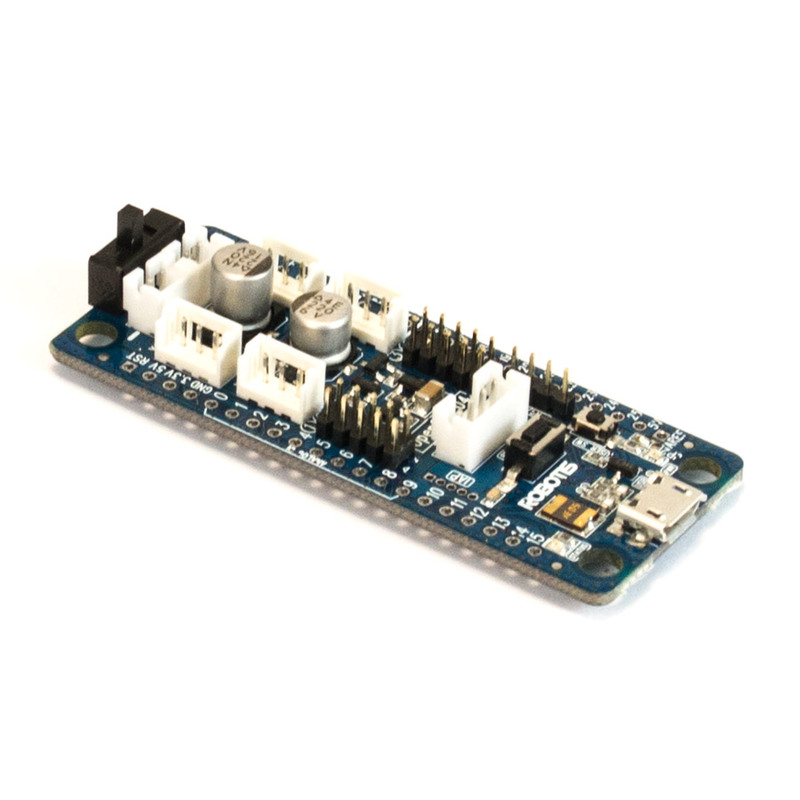 The XL-320 is data compatible with other ROBOTIS controllers, however, the power requirements and cable connectors are different so if you don't want to use the OpenCM9.04-C you may be able to hack together your own solution. The OpenCM9.04-C used in the DARWIN MINI is compatible but is sold separately. 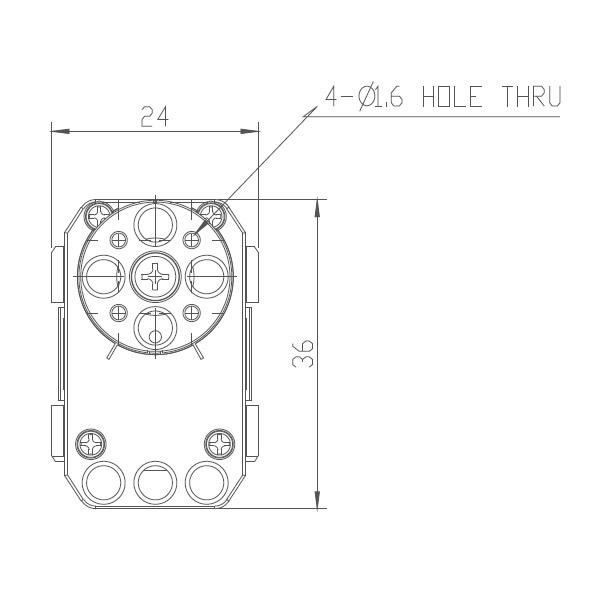 Plenty of support material is available for the XL-320 including complete documentation, specifications, software downloads, and 3D CAD models.